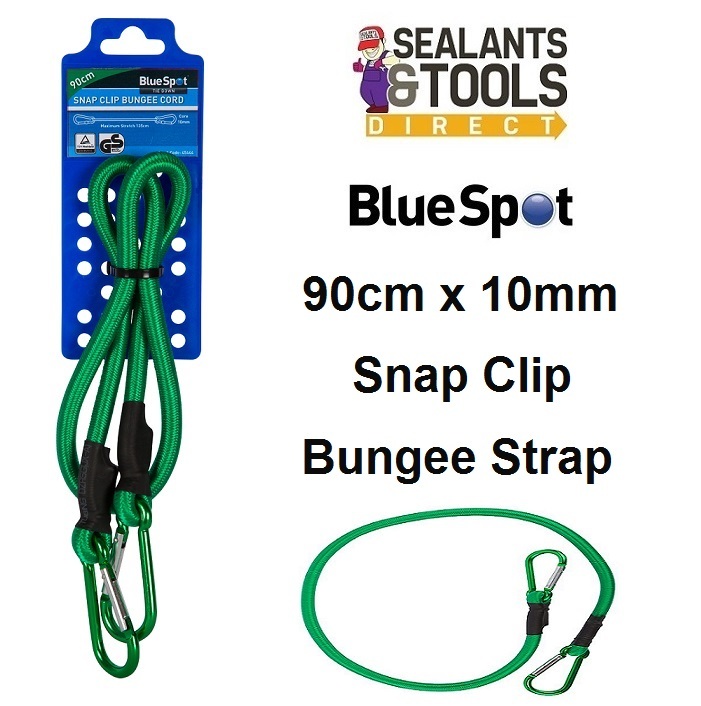 Blue Spot 90cm Snap Clip Bungee Cords designed to give a quick convenient load strapping. Can be used around the home vehicle and workplace. 10mm diameter heavy duty elastic cord provides excellent holding power and constant tension. The two high strength spring-loaded snap clips allow for a much easier safer and secure attachment compared to the conventional hook type. Two high strength spring-loaded snap clips.